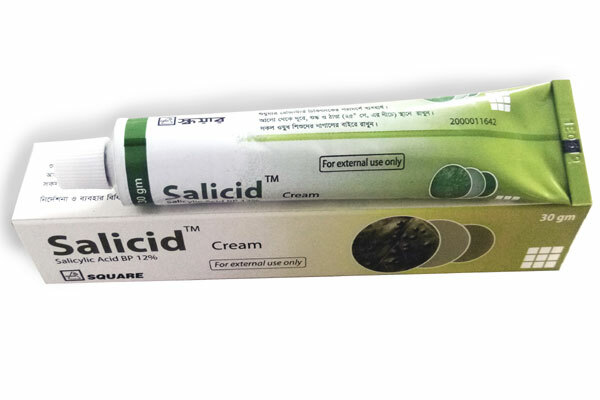 Salicid™ 12% Cream is indicated for the treatment of following conditions: corns, calluses, warts, seborrheic keratoses, actinic keratosis, ichthyosis & chronic eczema. Apply to the affected area once daily. Before application, soak the affected area in warm water for 2-3 minutes. Dry the affected area by patient’s own towel. Gently apply the cream to the affected area and allow drying over the surface. Each pack has an aluminium tube containing 30 gm cream.